Going to the gym just got a whole lot easier. Not only is UREC now proudly serving Starbucks, but mac and cheese too. At the gym? That’s right. 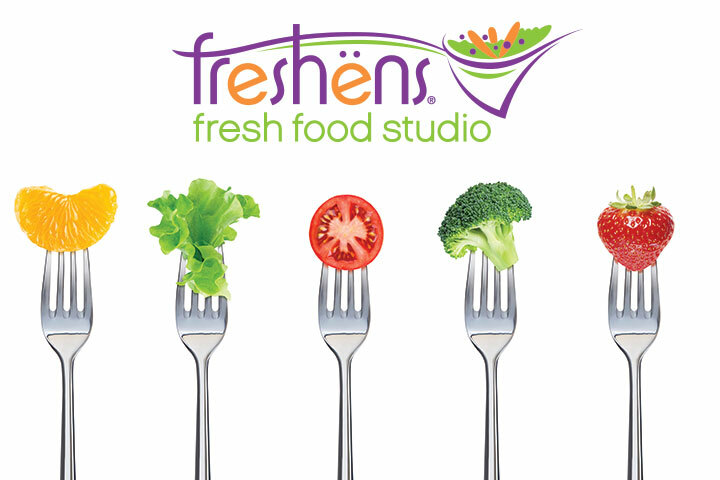 Freshens Fresh Food Studio is back and better than ever. Freshens can fuel your day with a new menu available for both dining in and to-go. Now I know you’re probably thinking you’ll only find healthy, lighter options on the menu, but even the health gurus need to dabble in the less healthy comfort meals sometimes, like the new made-to-order mac and cheese bowls. You can choose from the bbq bacon cheddar, bourbon street, Italiano, buffalo or ultimate veggie to top your cheesy meal. My personal favorite? The bbq bacon cheddar. It’s the ultimate burger toppings minus the burger, plus the mac. But wait, there are more bowls. Rice bowls. Served on rice, you can choose from the eight various options such as the cajun, florence or mediterranean rice bowl. If you’re looking for something with a spicy kick to it, I recommend the cajun chicken. If you’re looking for something a little sweeter, choose from the 10-plus yogurt and shake flavors or 15 smoothie flavors. Some smoothies are the perfect post-workout selection with the added protein such as the peanut butter protein or protein power-up. My current favorite is the jamaican jammer. With strawberries, bananas and Greek yogurt, it’s perfect for a quick breakfast on your way to class. Not sure if you’re in the mood for sweet or salty but want something quick? The crepes are the perfect go-to with 13 different styles. The crepe menu varies from pesto chicken to cheesecake to Nutella supreme. Surprisingly, most of the crepes aren’t as unhealthy as you think. Not too bad for something so sweet. For a lighter option, you can choose from one of the six salads or create your own. This option allows you to add the fruits, veggies and protein of your choice. Not a bad option if you’re trying to cut the carbs. But if you’re anything like me and can’t go a meal without them, I recommend getting your salad served on their baked flatbread bowls. Your final two meals are your choice of flatbreads or stuffed baguettes. Sounds fancy, right? There are four flatbreads: the bbq chicken, california club, chipotle chicken or the roasted veggie. As far as stuffed baguettes, you have five: the chicken caesar, mesquite bbq, po boy, tuscan or the wingman. UREC makes eating easier. If you’re not sure what you’re in the mood for, chances are you can find something on its diverse menu for your pre- or post-workout meal. UREC is offering a little flavor from all around the world. So if you find yourself caught in the middle of campus, too far from E-hall and not quite close enough to Mrs. Greens, UREC can be your new pit-stop for a punch. Freshens has made getting yourself to the gym much more appealing. Maybe I’m not getting my workout in but hey, at least I can say I went to UREC today. No one has to know it was for the buffalo mac and cheese and not the treadmill. Maria Keuler is a junior media arts and design major. Contact Maria at keulermc@dukes.jmu.edu.